I have been a hunter my entire life, hunting in various states in the west and finally I reside in Alaska. During one of my past hunts in Alaska my party and I had successfully harvested a couple Caribou out on the Alaskan peninsula, while the Caribou carcass was cooling and curing in the field the blow flies had their way with the game. Even with a great amount of care that we used we still lost a substantial amount of meat to the flying pests. It was that particular trip that inspired me to developing a system that I could use in the field to protect our valuable game while it was curing. I have developed an idea and patented what I believe to be the next generation of wild game storage system for use in the field or at home when your game still needs to hang and cure. The NO FLY ZONE is totally collapsible, rot resistant, allows positive airflow, has a built in water proof cover, a removable bottom for cleaning, and can be used over and over again for years. 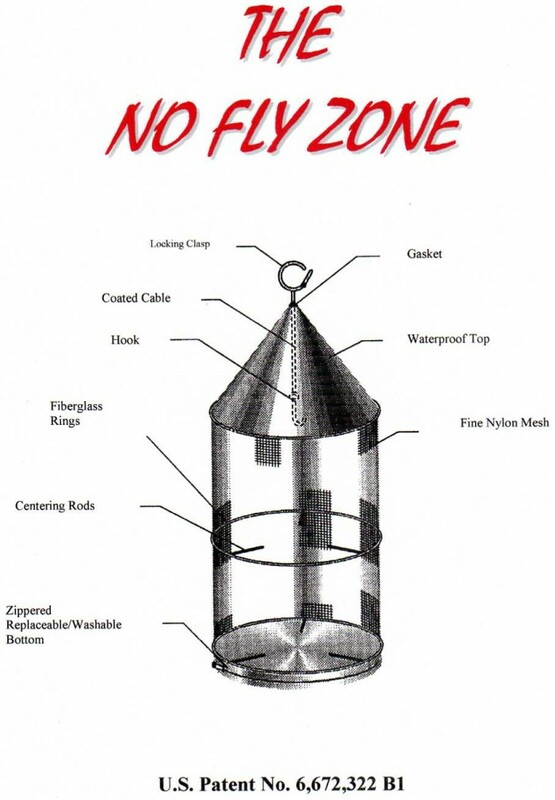 The NO FLY ZONE makes it possible to hang wild game without fear of contamination from flies and other debris, the current game bags that are on the market are a must in the transportation of meat but, while hanging to cure the game is susceptible to contamination, flies feast on the carcass and blow their larva onto the bags while the game hangs and cures. But no more, the NO FLY ZONE protects the carcass from anything getting at the meat, allowing the necessary airflow and cooling to transpire until you are ready to transport the game. Simply put, it is the best protection available while your game is curing. I am marketing my U.S. Patent game bag system because I no longer have the time to put into the development of this superior product, I am open to all offers and the possibility of a license with royalties, this patent has never been sold nor marketed. - Hunters from all walk of life, from all countries. 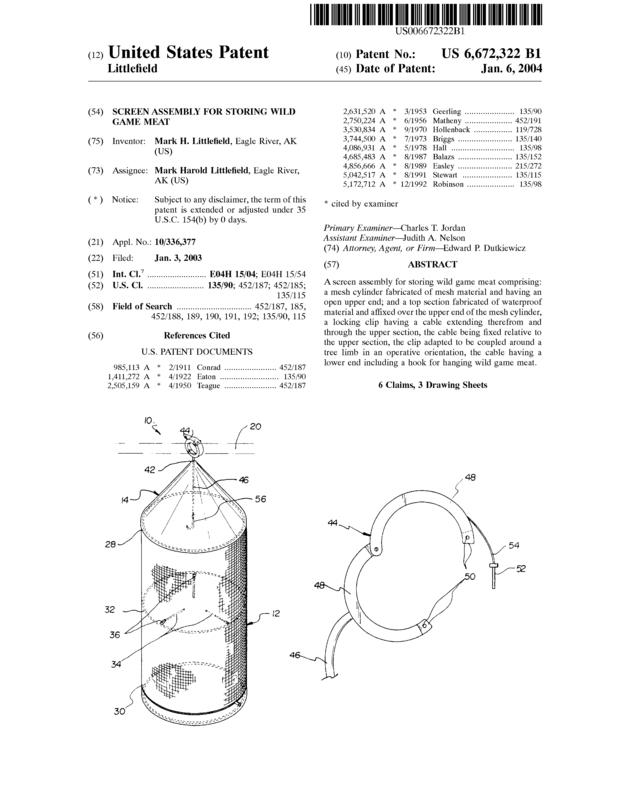 Page created at 2019-04-23 6:37:36, Patent Auction Time.